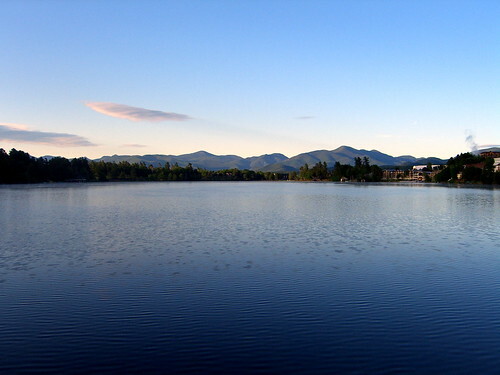 On July 22, 2007, I’m doing IronMan Lake Placid: 3.8km swim, 180km bike, and 42.2km run. The course is beautiful and I’m really looking forward to it. I’m not setting really lofty expectations for a stellar time. That’s not really like me as I usually set pretty high goals for myself. In this case, given my experiences training, and that this is my first (only? last?) IronMan, I really need to set reasonable expectations. hoping for somewhere around the 14 hour mark. For me, I’m thinking a 1:30 swim, a 7:30 bike and a 5:00 hour marathon, but that is really only my best guess. Based on our training, I’m sure I can do all of the individual components, and the times are estimates based on what I’ve accomplished in training. All that is left is the unknown: not knowing if I can put all three parts of the race together on the same day. My goals? I want to finish, and I think that expectation is more than plenty. It is all relative, and relatively speaking this test of self will be more than I’ve ever done before. And I’m ok with that.